Monitoring sugars and insulin on a regular basis to manage diabetes can seem like a daunting task. 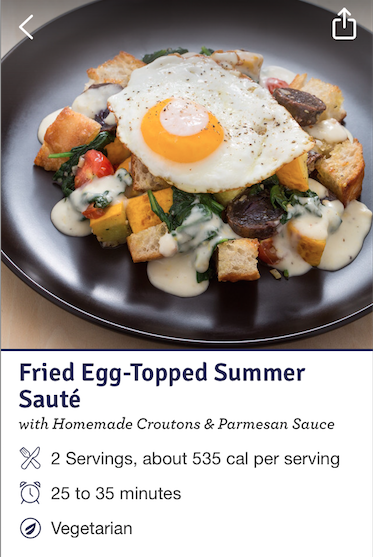 The mySugr LogBook app provides caregivers the ability to track their carbohydrate intake, blood glucose levels and insulin therapy for customized diabetes management. When users first create an account in the app, it asks that they complete a detailed profile regarding their individual experience with diabetes. Basic fields include type of Diabetes (Type 1, Type 2, Gestational, etc. ), year of diagnosis, insulin therapy and body weight. It also verifies measurement units for carbohydrates and insulin for accurate tracking. The universal functionality of this app comes in the ability to customize your experience to best meet your personal health needs. If you have Type 2 diabetes and simply need to watch your carb intake but have no insulin therapy in place, you don't have to use the insulin fields. If you have Type 1 diabetes, there's a field to track your blood glucose levels several times a day. In addition to simply entering your numbers, the log also offers a multitude of other factors to attach to each entry, such as time of day, whether a reading was taken before or after a meal, if you've been exercising, or overall mood. This will help caregivers notice trends over time in their data, such as consistently low readings after exercising. This data can be shared with medical professionals if needed, too, using the data export to PDF option. A chart on the home screen shows blood glucose levels over time in a nice visual so users can see if their readings have dramatically risen or dropped at any point during the day. Other log options include noting when a user is feeling particularly high or low, regardless of their readings. A challenges area also provides activities for users to join, such as the Walk for a Cure or Endurance. Both activities are designed to support research for diabetes to help establish a cure. 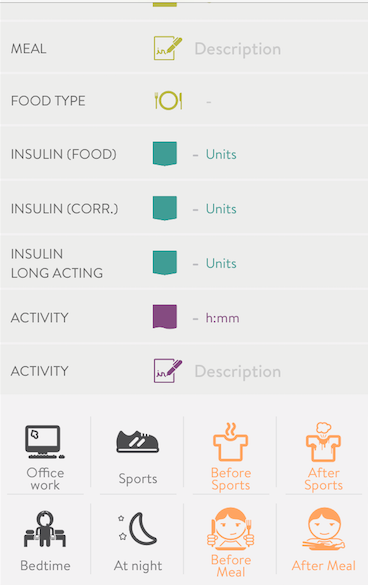 The mySugr LogBook app is available for Apple and Android platforms. 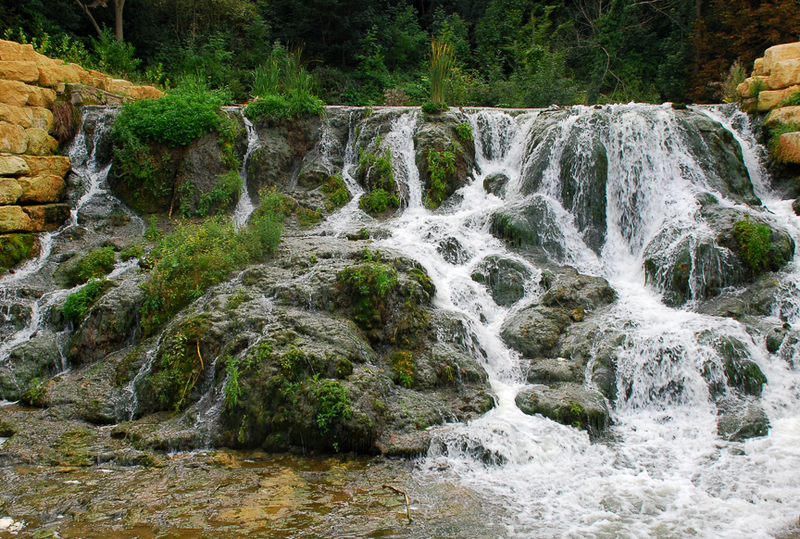 How refreshing it is when you first see a waterfall and then feel the cool spray on your face. This week's photo was taken in England on the grounds of Blenheim Palace, the home of the Duke of Marlborough, and the birthplace of Winston Churchill. We invite you to take a moment to relax and enjoy the photo and inspirational quote and share them with loved ones. Thank you caregivers and certified nursing aides for your hard work and the care you provide for our seniors. More caregivers are always needed as seniors in America are living longer. You can learn more about becoming a senior caregiver and apply for a job near you. Have a great week. For caregivers working with senior clients who have visual impairments, tasks as simple as moving around the house to find something can take significantly longer. An app called TapTapSee is designed to offer more independence to the visually impaired by identifying objects using the phone's camera. The app design and usage of TapTapSee is basic yet effective. As soon as users open the app, they find themselves at a screen where they can aim their phone camera at an object, take a picture and hear a detailed description of the item using the VoiceOver function on their phone. The test photos I took using the app came back with accurate and detailed descriptions of the items. 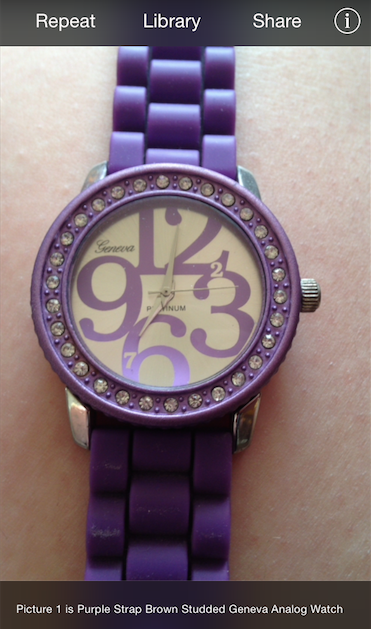 Beyond simply identifying that an item in a picture is a watch, the app goes a step further and describes the color, design and brand of the watch all from seeing a photo of the face. Likewise, it correctly identified a brand and color of nail polish when I pointed my camera at that. It even closely described a photo of a ceramic box detailed with skulls around the edges. If multiple items appear in a photo, the app also identifies every item in the photo. Users could take a photo of a table top and quickly hear if the item they're searching for is laid out on that table. Most photos seem to take ten seconds or less to identify, making this app effective for real time use in the home. The camera focused the photos well, even during slow movement, so clarity shouldn't be an issue. The downside, however, is that the app doesn't store past searches to revisit later. While most users only need the information once in real time, having the photos stored could help them show a caregiver a photo of an item they need again at a later date or recall where a specific item was left the last time they searched for it. Users do also have the ability to use their photo library to import a photo into the app for identification. The app offers new users 100 free photo identifications each, and after that point users can purchase packages for more identifications. The TapTapSee app is available for Apple and Android products. 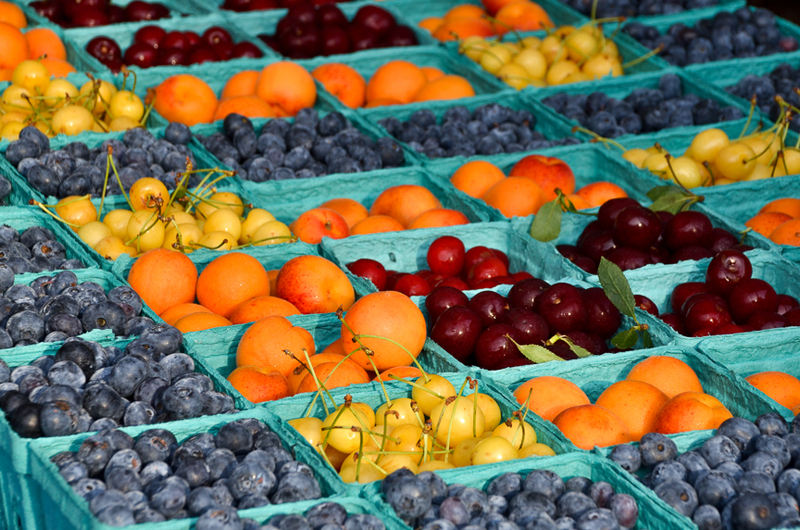 More joys of the summer season include an abundance of fresh, vibrantly colored fruits. They are healthy, delicious and a feast for the eyes. This week's stress relief photo was taken at a farmer's market in Chicago, Illinois. Please enjoy the photo and the quote and feel free to share them with loved ones. Caregivers provide companionship to seniors, as well as caregiving and caregivers must remember to "care for the caregiver." Thank you caregivers and certified nursing aides for your hard work and caring for our seniors. Have a great week. "Don't be afraid to go out on a limb. That's where the fruit is." 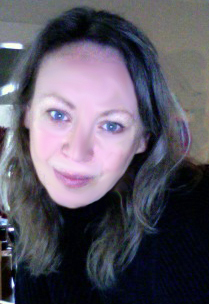 -H. Jackson Brown Jr.
At Caregiverlist we know the realities of caregiver stress. Thank you caregivers and certified nursing aides for your hard work and caring for our seniors. Senior care training assists caregivers to better manage a senior's care needs and manage caregiver stress. 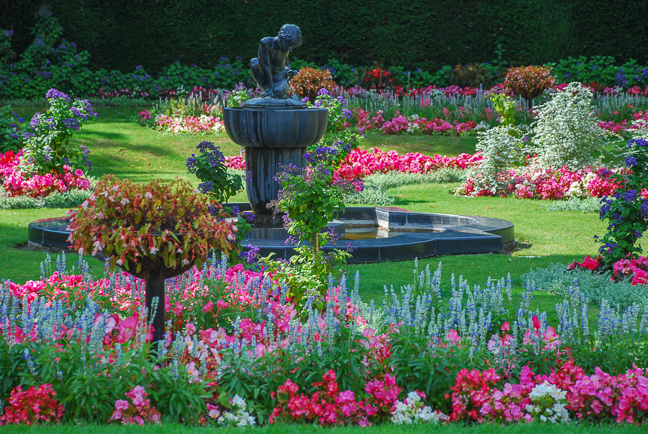 This week's stress relief photo was taken in the Regent's Park in London, and shows a garden in all its summer glory. What a simple and peaceful thing a walk in a beautiful garden can be. Please enjoy and feel free to share the photo and inspirational quote with loved ones. Have a great week. Summertime is here, and with that the time to get outside and enjoy the world around us. 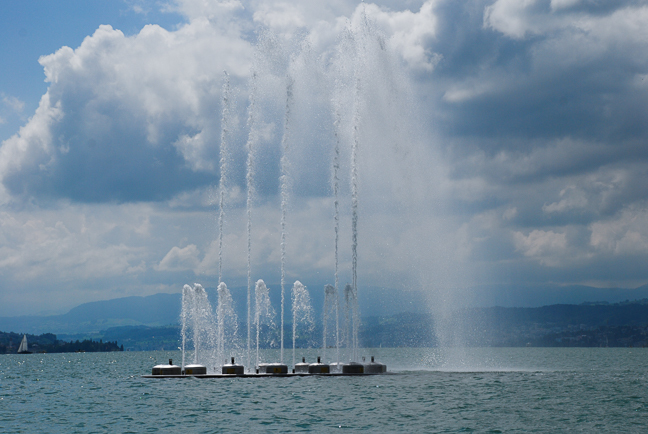 This week's photo was taken of a fountain on the lake in Zürich, Switzerland. Caregiverlist invites you to enjoy the photo and quote and share them with loved ones. At Caregiverlist we know the realities of caregiver stress. Thank you caregivers and certified nursing aides for your hard work and caring for our seniors. Please refer your friends to apply for part-time and full-time job positions on Caregiverlist.com and visit our career center for additional career tools. We hope you had an enjoyable holiday weekend and have a great week.